CC just got a lot cheaper. Adobe has cut the cost of its full Creative Suite package of apps by well over a third in this huge Adobe Cyber Monday deal. Today you can get up to 39% off Adobe’s All Apps annual plan: you can now grab Adobe’s entire collection of 20-plus creative desktop and mobile apps for just $30.34/month, instead of $49.94/month. That makes it one of the best Cyber Monday camera deals we've seen so far. Not every country is eligible for the same discount, though. If you’re based in Europe, the Middle East, Africa, Brazil or Japan, you can claim the 39% discount. If you live in the Americas (apart from Brazil) or the Asia-Pacific region (Australia, China, India and more), there’s a comparatively more conservative 25% discount available. That’s a quarter off the normal price though, which is still a sizeable saving. And for students and teachers, who already get a 60% CC discount, there’s a further 20-25% discount on offer. 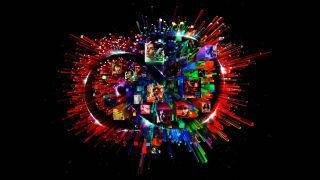 What’s included in the Creative Cloud All Apps plan? This deal expires on 30 November 2018.